You know how some people act tough but inside they’re fragile? Well, the same could be said of the iPhone X, Apple’s most powerful smartphone ever conceived — and its most fragile one too. 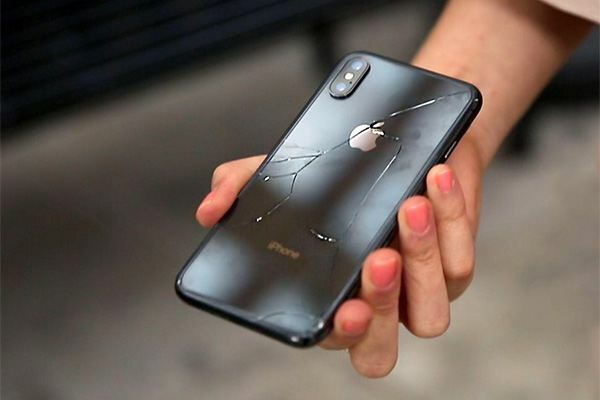 Although Apple has boasted that the iPhone X features the most durable glass ever seen in a smartphone, our customers are telling us a very different story – that the iPhone X is not only the most breakable iPhone ever, but it’s also the most costly to fix. Independent research studies that tested the phone’s durability confirm this. The most common problems seem to be screen burn and shattering. What in the world is screen burn? It’s a discoloration, sometimes referred to as a ghost, which can appear on a phone or tablet screen. And it’s not easily eliminated; it’s pretty much permanent. The iPhone X’s OLED screen, as gorgeous as it is, seems to be the culprit. If you maintain the same image on your screen for a long time, it could cause the image to burn into your screen, causing a faint “after image” that cannot be eliminated. Although the problem is not very widespread, it’s a big enough worry that Apple has admitted there’s a problem. Don’t let an image linger on your screen for a long period of time. This is a no-brainer, since Apple has made it clear that the main cause of the issue is prolonged display of a static image. Make this a hard and fast rule. Try to avoid images with high contrast. 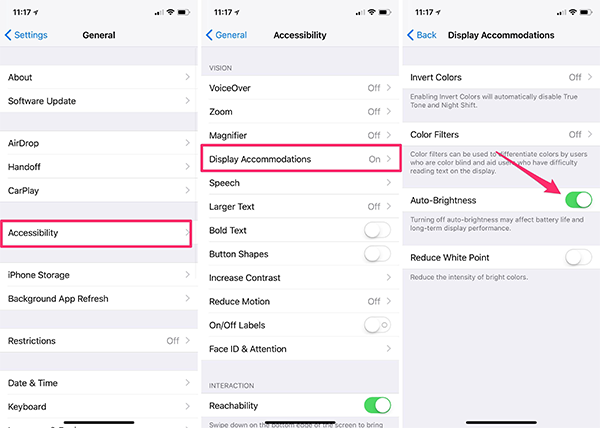 Apple reports that screen burn can be caused by displaying the same high contrast image continuously for a prolonged period of time. High-contrast images are typically those that feature bold colors, bright highlights and dark shadows. Change your screen’s brightness level. Turn on Auto Brightness by activating the switch. And to be fair, this is not an iPhone issue as much as it is an OLED screen issue. In fact, Google has said that OLED screen burn is possible with its new Pixel 2 XL. To reduce the likelihood of this occurrence, Google has released a security patch that causes the navigation buttons at the bottom of the screen to fade away after a short period of time. Now that you are familiar with screen burn and know how to avoid it, let’s move on to the most dreaded scenario of all: Dropping your iPhone X.
Breakability tests for the iPhone X have been conducted by various entities, such as SquareTrade, a provider of extended warranties for wireless gadgets. If you drop your iPhone X from a height of 6 feet and it lands on concrete, your screen will likely shatter. If you think that’s disconcerting, have you heard about the durability tests that were conducted by tech website CNET? They found that the glass cracked when the iPhone X was dropped from only three feet in the air. And get this, rather than repairing the rear glass, Apple says it must replace the whole enchilada at a replacement cost of $549. Well yeah, glass breaks, so why doesn’t Apple use metal on the back, right? Apparently wireless charging doesn’t work through metal. If you’re thinking about getting the iPhone X, don’t be fooled by its supposed toughness. It is a powerful, beautiful piece of engineering, but its screen is fragile. Given what we now know about its durability, iPhone X owners have a couple options. One is to keep the iPhone X that you otherwise love, but to purchase a protective case for it. If you think you are susceptible to dropping iPhone X, is to sell it now before the dreaded drop happens. You can trust your Apple specialists, iGotOffer, to pay you top dollar if you decide to Sell your iPhone X. Check IMEI – Trying to check IMEI/MEID/ ESN for iPhone, iPad, cell Phone, tablet or any other device? You can find complete IMEI history on iGotOffer’s website. We update the database every day. The access is free. iCloud Check – You don’t know if your “Find My iPhone” status is ON or OFF? Visit iGotOffer.com to get instantly all the information. All Apple devices with IMEI number are supported (iPhone, iPad, Apple Watch).